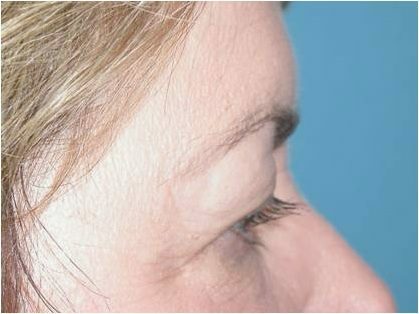 This patient is a 62 year old woman complaining of difficulty seeing because of excessive skin of the brows and upper eyelids. 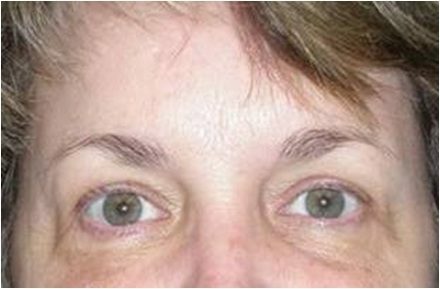 She also had a tired and angry appearance, irrespective of her mood. 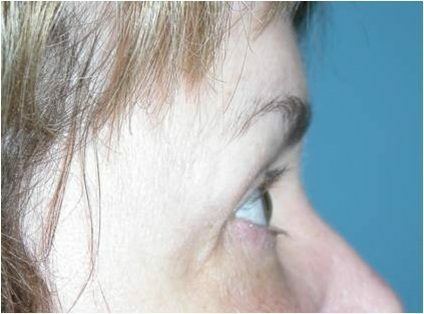 An endoscopic brow lift, consisting of five small incisions on the scalp, and an upper lid blepharoplasty were performed. 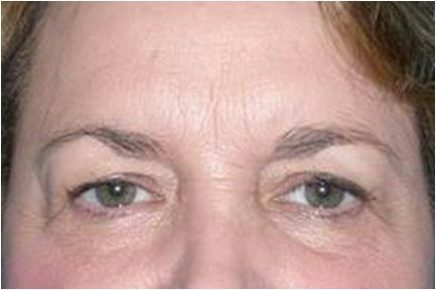 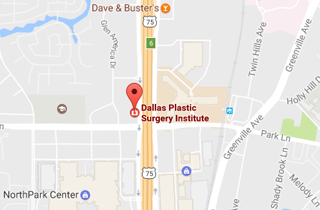 Six weeks postoperatively, she had significantly improved vision and a more refreshed appearance.